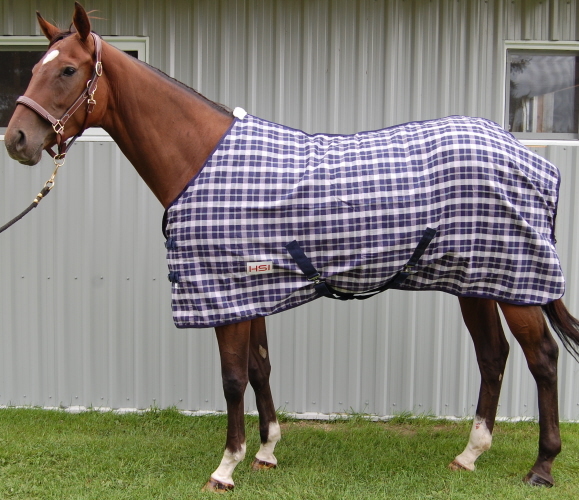 Help your horses stay nice and warm in the barn or stable with our great selection of stylish yet functional 'Horse stable blankets. 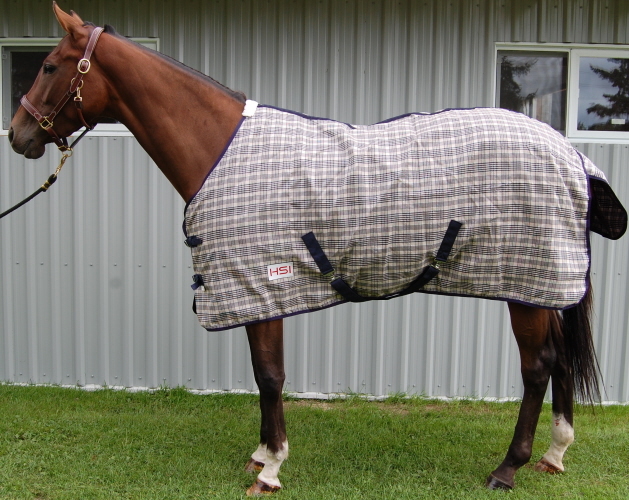 'Equestrian Stable sheets' at HorseSmart Equestrian Blankets. 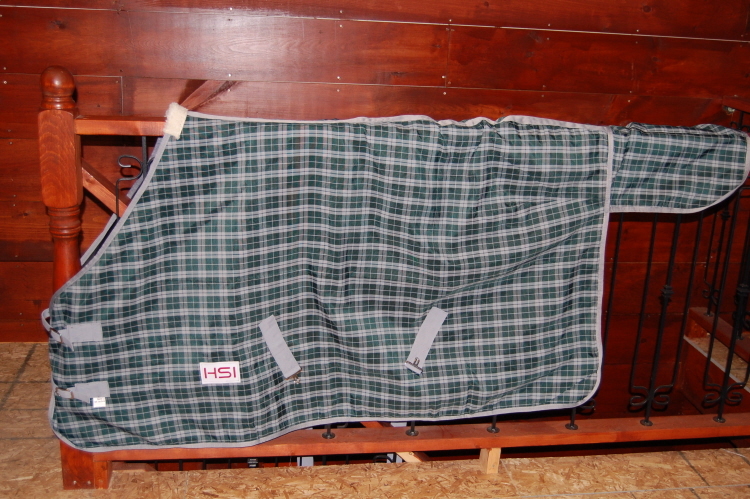 H.S.I's Plaid Horse sheet is a medium-weight, 100% cotton sheet trimmed in sturdy poly web. Features include two-buckle front, bias surcingles. This sheet will look great on any horse. Perfect for trailering or keeping you horse clean before a show or lounging in their stall. Very beautiful 'Baker' Check Equine Sheet made with waterproof and breathable 1600 Denier rip-stop polyester, a medium-weight sheet with a 'Baker' check pattern, and cotton lined. Nylon lining to polish the coat, and nylon outer shell is specially treated to repel dirt and stains. Velcro front closure with a two-buckle front, bias surcingles and tail piece.